We offer the following services in the ICT and business world: You can utilize the good traffic we get on this site to reach your targeted audience via advertising your business, products and services at a give away price that will surprise you. Adverts through published posts is the best as it stays on this blog as long as the blog exist. 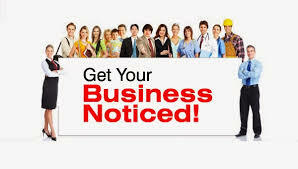 You will reach more people as it will be posted to all our social media fan page and also appear on google search. Adverts on sidebars and ledger areas is another way of attracting people to contact you for business as i will design it to give a perfect call-to-action look. The validity period of sidebar and ledger adverts is limited and dependent on the price or subscription period. If you are a business man or woman that deals on phones, electronic gadgets, sale of recharge cards/data (MB), into phone servicing and repairs. sale of accessories, wears and so on, this we offer you the cheapest opportunity to showcase yourself to Nigerians and the world at large. For new and already established bloggers, you can also utilize this to tell the world about your blog and get more traffic and backlinks to your site. ► A home page with read more and post thumbnail features both mobile and pc view. My pricing is very affordable and might surprise you. Contact me for any of the aforementioned services and I will serve to your satisfaction. Thank you. You can easily contact me on Whatsapp with 08164996237 and+2349094463068 for non Nigerians.